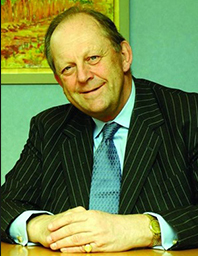 Chairman of Slough Estates plc since 1976 (Chairman and Chief Executive 1976-96). Sir Nigel is non-executive chairman of Bovis Homes, non-executive director of Howard de Walden Estates and Chairman of Trustees of Historic Royal Palaces. He is a former non-executive director of Barclays Bank, Kingfisher and Cookson Group, and was a Member of the Committee on Corporate Governance (Hampel). He has been Lord-Lieutenant for the county of Buckinghamshire since 1997.